FOR IMMEDIATE RELEASE: Lewiston, Maine (August 11, 2016) – New England Fights (NEF) returns to Lewiston on September 10, 2016 with the fight promotion’s next event, “NEF 25: HEROES & VILLAINS.” NEF executives announced earlier today that Jesse “The Viking” Erickson (7-5) and Jon Lemke (5-6) will square off for the second time in their respective careers. 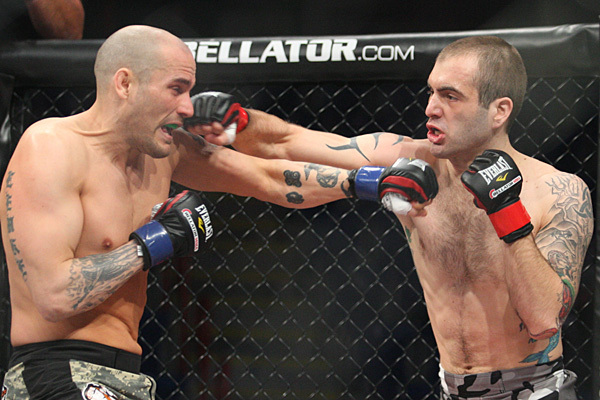 Lemke won the first meeting at NEF’s co-promotion with Bellator, “Bellator 93,” in the spring of 2013. The bout will take place in the 155-pound lightweight division. Erickson, on the other hand, is coming off a brutal knockout victory over Amos Collins (4-5) this past June. It was just the latest in a string of improved striking performances from Erickson in the past couple of years. He says that he will welcome the opportunity to stand and exchange with Lemke should the opportunity present itself.